Jann Klose first came to my attention about four years ago when I saw him play a small club in the UK. His soaring vocals, inventive melodies and finely crafted lyrics stood out from the humdrum, and I bought a copy of his first full album “Reverie” at the gig. In fact I covered all this in an earlier article so I won’t bore you again. 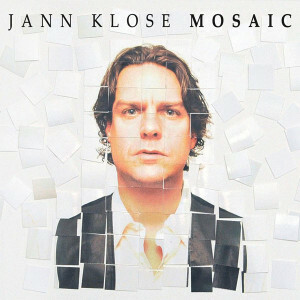 Jann featured on a Grammy nominated album “Healthy Food For Thought” in 2011 (in the Children’s Spoken word category) but now his second full album “Mosaic” has been nominated in two categories for the 56th Grammy awards. This is on the long list which will be reduced to five final nominations for each category and announced on 6th December 2013 but it is nevertheless an important step. The awards take place in January of 2014. So, in the circumstances, I thought I had better get a very complimentary review of Mosaic written now, so that if he does win, I will be able to bask in the reflected glory, and maybe Jann will give me free tickets to come and see him at the Royal Albert Hall. Happily for me, writing a nice review is easy. From the start it is obvious that Jann has managed to improve on the excellence of Reverie. I am reminded very much of Jackson Browne, which is always a pleasant experience. While another band I recently came across, “Canyon Ryde” puts me in mind of early Jackson Browne, this has more of his later qualities. Starting off with the first track “Make It Better” which has an upbeat reggae rhythm and lyrics with a strong Liberal stance. With some lovely Hammond-y sounds on it as well it is right up my street. Track 2 “Know Whats’ Right” is slightly slower, with a more conventional rock beat, nice guitar solo, and dynamics. “On And On” actually opens with a piano melody that could so easily have been Jackson Browne and the very first vocal line keeps the illusion going. Now, I must again emphasise that when I compare an artist to another, it is not, most emphatically not, intended to suggest that they are copying. Inevitably, any music which is bearable to listen to is likely to contain elements of earlier music. But while there are similarities, Jann Klose has a great ability to come up with original melodies despite the limits of twelve notes, and the need to write music that the ear can enjoy. Track 4, “Still” is a slow gentle song with just an acoustic guitar, but Jann’s voice is so lucid, so smooth, and lilting, that it does not for one second sound empty. Indeed the contrast is perfect at this point in the album. Album song order is something sadly lost in this digital age. When it’s done right it is worth preserving. The drums are brought back, along with the rest of the band, for track 5 “Long Goodbye” although it is still a slow one, a sad song of love lost. Quite bluesy, it builds up to a classic blues guitar solo and ends on a bit of a high. Again, an inspired song order for the album as a whole. “Falling Tears”, track 6, is another slow blues, just a teeny bit dirty blues, with its distorted guitar riff and stomping rhythm. Jann also proves he can wail as well as he can croon. “Four Leaf Clover“, is the song that I have been asked to pay on the radio and it is a jolly happy song with a good uptempo. With a slight Bosanova (? I’m never too sure about Latin rhythms) tempo to it, well you can certainly have a dance to it. Of course everybody knows that track 7 is always a killer. Oh sorry, some of you are too young to know this, but in the days of albums with two sides, the first track on side 1, the last track, and track 7 were always* the best songs. Another light dancy rhythm comes along now with “Beautiful One”, track 8, and some lovely violin accompaniment giving it a different feel to most of the earlier tracks. A slight nod towards C&W without necessarily donning the cowboy boots, jeans, and plaid shirt. Track 9 “The Kite” once again reminds me a little of J.B. and I am well aware that one of the biggest reasons for this continual return to that theme is because Jann’s lovely voice just has a similar timbre and range. The song is as uplifting as its title suggests, carrying you on musical wings to float dreamily over the world’s problems for a while. Better than alcohol and with no side effects. Jann saves something quite special for the last track. “Song To The Siren” is, I understand, a Tim Buckley song. This version is done a capella. Here is where you hear just how rich and full Jann’s voice really is. 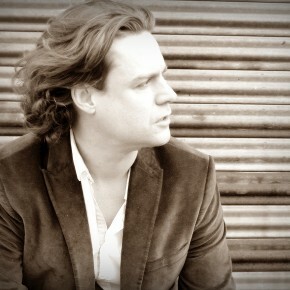 It is a masterpiece of vocal performance, that absolutely ANY singer would be proud off. Accompanied by a choir it sounds almost religious. I picture it sung in a great cathedral with candles burning, and soft fades from Jann to the choir, and stunning views of stained glass, and statues of angels. Hope I’m not being sacrilegious for saying that. In conclusion, I really really hope that this album does win a Grammy. Of course I don’t know what other albums are going to be on the shortlist, and there might be some other brilliant offerings that deserve to win, but I haven’t written an article about them, and nor have I met them and bought their first album in person at a small gig in East London. So come on Grammys don’t let me down.